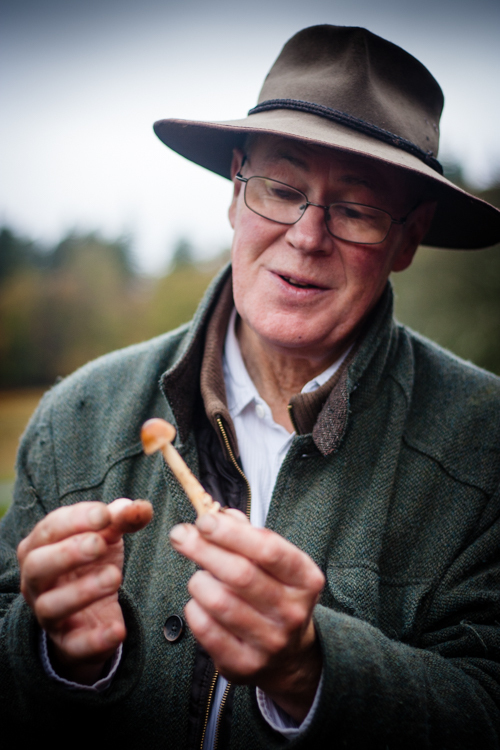 John Wright waxing poetic about one of the 60+ mushroom varieties we found. 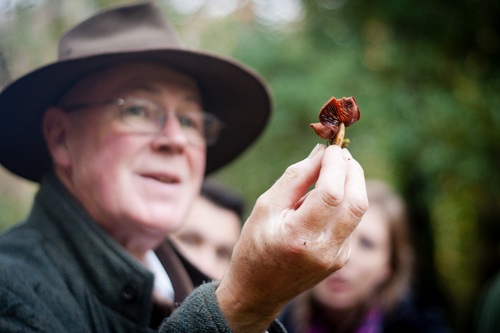 Last Friday, I went on a mushroom foray in the New Forest with John Wright from River Cottage. This was a day to experience and appreciate the incredible diversity of this marvellous country. The edible-ness of each variety was a mere side note, for every fungi had a story, as well as beautiful (and sometimes rude!) Latin name. Here are a few choice captures from the day. My “desert island mushroom”. 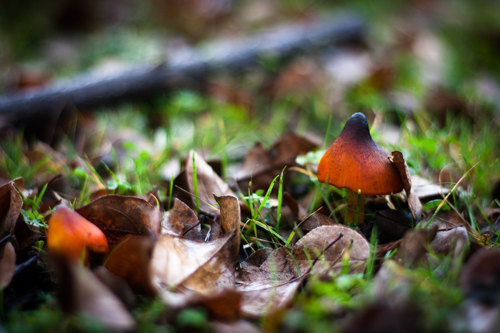 Hygrocybe conica, Blackening Waxcap. Just beautiful. 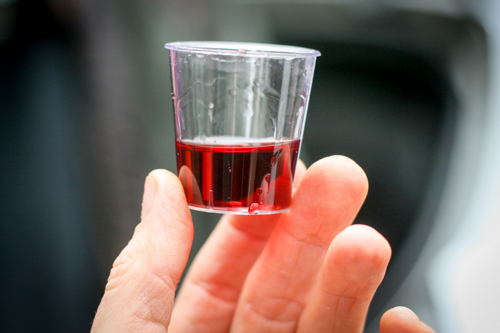 Forager’s nip: Épine, a boozy infusion made with blackthorn leaves. John was with us in photographing the moment. 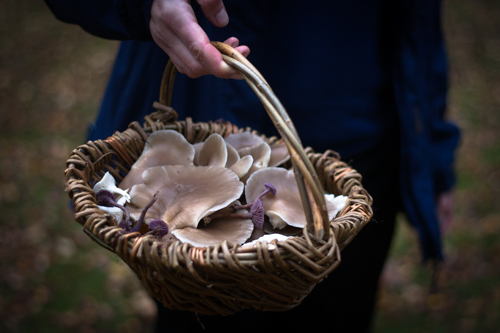 Even for a seasoned forager, the exciting finds never cease. 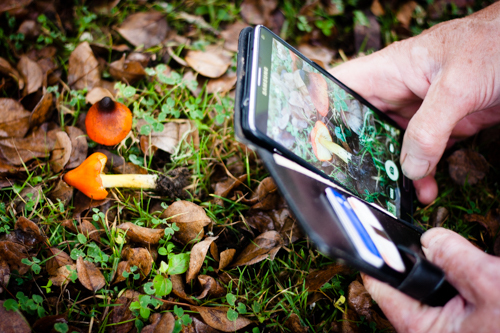 Best part of the mushroom foray: the stories! And John Wright is an exceptional storyteller. Edible species: only 4 of the 60+ mushrooms we found were edible. Enough for a fry up at the end of the foray. 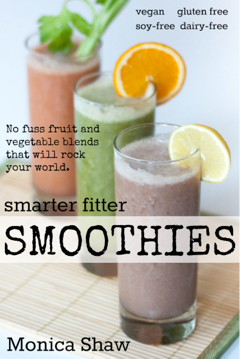 Our foraging spirit guide? 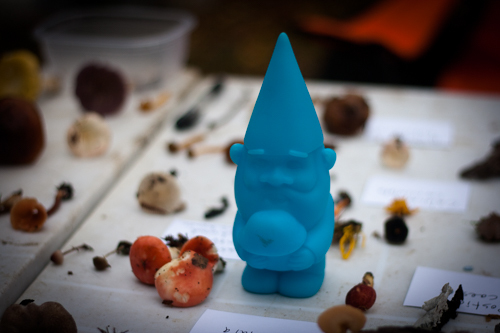 “Myc” the gnome. He’s a fun guy.